Happy New Year! Have you made you resolutions for 2018? It’s never too late to think of ways to make your life even better. This year we thought it would be a good idea to see how you could transform those same old resolutions into more motivating tea resolutions to help you stay on track and achieve your goals. You will also get a peek at the latest herbal tea added to our website. This time we are going to look at an herb with a controversial reputation, but that could be exactly what your stomach needs. 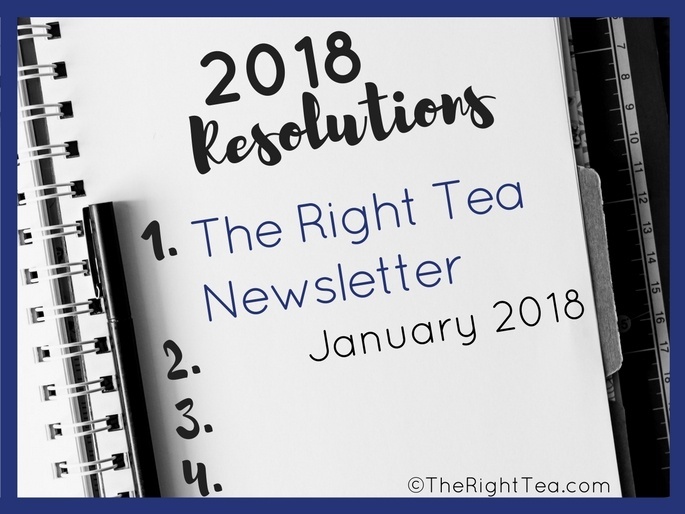 Tea Time Resolutions for 2018! Do you still have room to add some tea time resolutions to your list this year? Resolutions can be overwhelming particularly when they are vague and we don’t know where to start to bring them about. Let’s see if we can help make your resolutions more fun and also more achievable! This is the most popular resolution on most people’s list, but this does not make it easier for you. So find ways to make tea work in your favor. Resolve to drink all your teas unsweetened. Find alternative sweeteners, like honey, that are not as harmful as sugar. Choose sweeter tea blends. Blends that have apple or berries tend to be sweeter than pure black tea. Change your black tea for oolong tea: its flavor is naturally sweeter. This is also a popular resolution. It’s good to expand your horizons, but it can also be daunting when you don’t know where to begin. Start small by taking your love for tea to the next level. Check out other teas sold by your favorite tea brand. Try different blends or special edition teas. Resist the temptation to always drink the same tea. If you always drink black tea, try a green or white tea. Go to a tea store that sells loose leaf tea and have fun smelling and tasting new teas. Purchase the lowest amount possible of a new tea and this way you will have a good reason to go back and search for yet another one. Start learning more about your favorite tea. What type is it? Where does it come from? Look for workshops about tea or tea tasting sessions. Sometimes it’s easier to find the time for a single-day workshop than a year-round class. Learn to cup teas in a professional way. Get a nice notebook and good pens and take time to write down your thoughts and impressions about each tea you drink. Do cookbooks seem like unreadable encyclopedias with long lists of ingredients and recipes that seem more like laboratory experiments than cooking instructions? Tea sandwiches – these tend to be quite simple and most don’t require any cooking. It’s mostly in learning to create beautiful food. Scones – there are many recipes for scones, sweeter or more savory, plain or with fruits. Wouldn’t you like to make your own scones to enjoy with a cup of tea? Invite your friends to a tea party – create the motivation to learn how to cook sweet and savory treats to a level that you would be proud to show them off! So that you do not face the challenge alone: we promise that in one of the next newsletters this year, there will be a recipe for scones. So we will be wiping dust off the cookbooks and learning to make scones, too. This resolution is increasing in popularity. With so much stress, it is no wonder we all need to make the time to relax or meditate. We just feel guilty about taking the time to do it! Search for calming teas, such as chamomile, and purchase all the necessary items to brew a cup of tea for one. Each person has a different way of relaxing or of meditating. Your way could be finding a quiet moment, away from distractions and tensions, with a cup of tea and your thoughts. Increase the relaxing potential with floral infusions that fill the room with soothing and calming aromas: lavender and chamomile are great examples. Have you found something that inspires you? These ideas are just a way to get you on the best possible start for 2018. Find other ways of introducing tea into your new year! Have a great year filled with great teas! 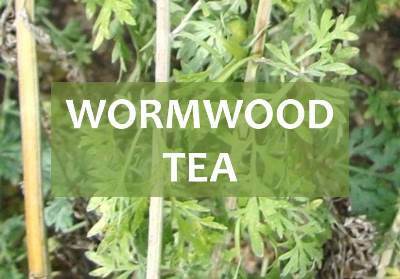 Wormwood tea is an herbal infusion that is made from the leaves and flowers of the same plant that is used to make the alcoholic beverage absinthe. While the alcoholic beverage may be quite dangerous, the herbal infusion when taken with care and with supervision of a doctor may be beneficial for your whole digestive tract, particularly when it comes to expelling worms. More information about tea is coming, so keep on the lookout for the February issue of our newsletter. While you wait, look around our website and learn more about tea and its health benefits.